The Tower Subway was a cable pulled train that went though a tunnel under the thames. It was built in 1869, and the railway started operation in 1870. 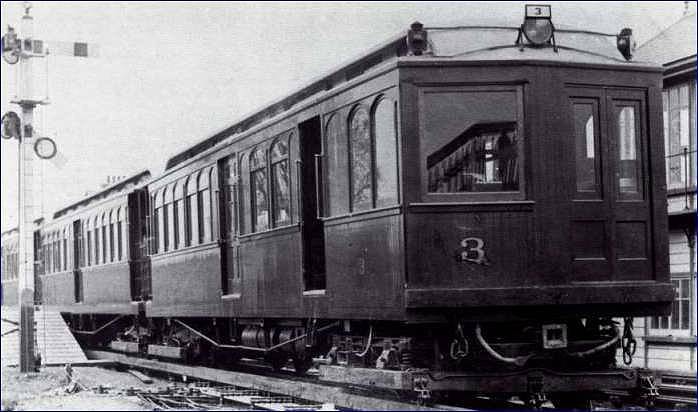 It was the first ever deep level underground train in the world. After just 3 months after it closed! as they found the train too inpractical. The tunnel was then turned into a foot tunnel. In 1898 the tunnel closed due to tower bridge being opened. The tunnel was then sold to the London hydraulic power company who used it to pump high preasure water to power lifts. The London hydraulic power company closed in 1977, the tunnel is now used by Mercury Communications. This is the first type of train to run on the Waterloo and City Line. They look so old and ratterly. There are no photos of this anywhere on the internet. Except for one video. these pictures are from a youtube movie. click here to see movie. very rare footage of this train. i can not find any other pictures of this train anywhere on the internet. This was a prototype of the B Stock. It was a very unusual train. These look really fun. I would have liked to have gone on one. I really want to go on one of these. This was a very futuristic prototype design. It would be really good if underground trains were like this today. These trains still run on the Isle of Wight. Plus there is one at Acton depot that does heritge runs. Similar to the Q stock. Grey version of Q stock. Compared to the modern design of the 1938 stock, these look very dark and spooky. These are some gray trains a bit similar to the 1938 stock. The 1956 stock was a prototype. The 1959 stock ran on the northern line until the year 2000. The 1960 and 1962 stocks ran on the central line until 1994. There are some still about on the underground but none are in service, and there are no heratage one planed. These were the worlds first automatic trains. These had AMAZING sounding motors and were the best ever underground train. THESE WERE CLASSICS. These are currently running on the circle line, hammersmith and city line, and the district line. These are crap and slow. I can just about remember going on one on the northern line. There is a preserved one at acton depot, plus theres a few about on the underground but not in passenger service. These are currently running on the district line. These are crap and slow. I can remember these before they were refurbished. These were a small version of the D stock. These used to run on the Jubalee line before the extension. I never got to go on one of these. These trains only ran for a few years - how prethetic. These trains were prototypes of the 1992 Stock. These were very modern trains. I never got to go on one. They were taken out of service after no time atall, and only the green one was preserved. These did not last very long. I never got to go one one of these. # � Copyright Dr Neil Clifton and licensed for reuse under this Creative Commons Licence. These are currently running on the Central Line and waterloo & city line. These have very nice humming DC motors. These were built for the jubalee line extension. These are the first london underground trains to have AC motors. The motors are powered by frequany generators that produce a number of different frequencys (not fully varible frequency) and you can here when the frequancy changes. photos marked with # are not my photos and are someone elses pictures see note next to picture. the rest of the pictures on this page are my copyright and can be put on other websites as long as there is a link to this website.